Prizes may be withheld in classes where there is insufficient competition, no 2nd prize where there are less than 3 entries, and no 3rd prize where there are less than 5 entries. Vegetables for exhibition must be properly cleaned. Spectators or exhibitors will not be allowed accompany Judges during adjudication. Exhibitors are hereby notified that although every reasonable care is taken to ensure the safety of all exhibits, the Committee will not be responsible for any loss or accident that may occur. Neither will the Committee be responsible for any accident that may occur to any person attending the Show, as a visitor, exhibitor, steward or otherwise. A person entering an exhibit, and failing to show it will forfeit entry fee. The Committee are not responsible for any mistake on entry forms. Exhibits will not be removed before 4.30pm on the day of show, and will not be returned without ticket. In the event of appointed Judge being unavailable, the Committee reserve the right to appoint an alternative. All indoor competition exhibits must be in place before 10am on day of Show. All objections must be lodged with the Secretary within 30 minutes of the Class being judged accompanied by fee of €10 which shall be forfeited if objection is overruled. In most instances competitors are presented with a cheque, dated the day of the show, as prizemoney. 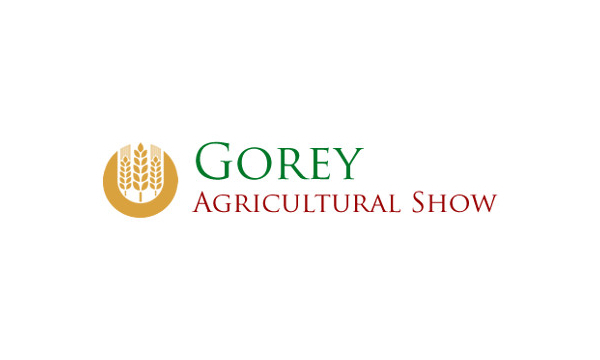 All cheques must be presented for payment within six months of being issued, Gorey Agricultural Show will not reissue cheques that have expired. All our committee are volunteers who give of their time willingly, Gorey Agricultural Show ask that you respect all stewards and volunteers and judges. Any competitors found to be abusing will be appropriately sanctioned. Please refer to Disciplinary Section for more information.